Check in with the office! Parents and all school visitors are reminded that you must enter the building through our main entrance and report to the school office to sign in when you enter the building. Authorization to visit/go elsewhere in the building or anywhere on the school campus will be determined by the principal or his designee. 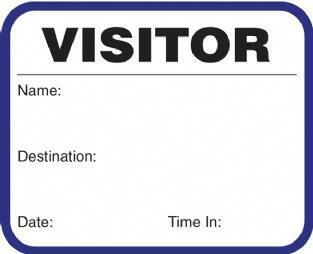 Guest passes will be issued for all visitors. There are times when other doors/entrance ways may be open for students/staff, but all visitors are required to use the main entrance and report directly to the school office. No one is allowed to be in the gym, café, or hallways without first reporting to the office, signing in and receiving a visitor’s pass. The only exceptions to these safety procedures would be public events like school programs or open house. These policies are in place for the protection of all students and staff.